Deborah Daniels, a former federal prosecutor, was commissioned by USA Gymnastics to conduct an independent review of USAG’s handling of sexual misconduct, and her report is OUT. Australia – Emily Little’s scary fall — but she’s going to be OK! Did USAG illegally settle cases in California? 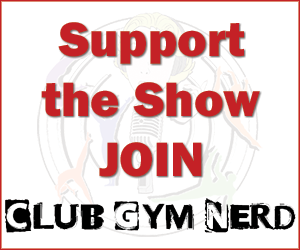 The power of adult gymnastics! The full Deborah Daniels report into USAG’s handling of sexual abuse. 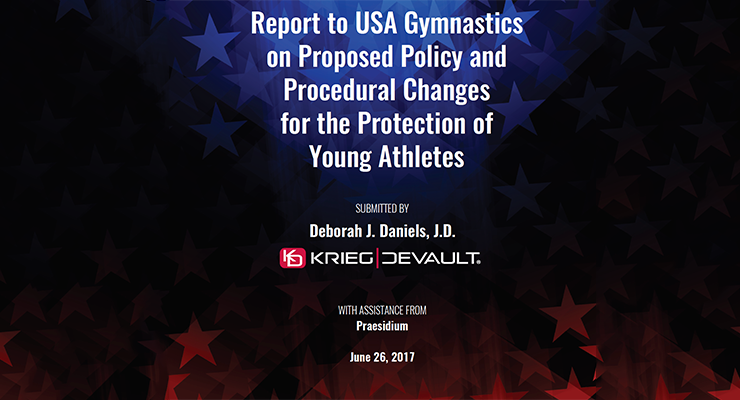 USAG’s summary of 70 recommendations made in the Daniels report. For me there is a big difference between Chuso/Stepko and the Belarus situation. Chuso lived and worked in the country, paid taxes, spoke the language, etc. which is very different from Belarus where the athletes had never been to the country they were representing. I think Congress members have to live in the state or district they are representing for at least 50% of the year so I would be cool with a rule in gymnastics saying you can compete for whatever country you want but you have to live in that country for 50% of the year or something similar. Ok, now I\’m thinking about someone like Jessica Lopez who is actually Venezuelan but I think trains primarily in the US. I have no idea if she spends 50% of her time in Venezuela anymore but it wouldn\’t be fair to say she couldn\’t compete for Venezuela since she is actually from the country so maybe something like the athlete has to be born and raised in the country or spends 50% of their time there. Hey, I just listened to this episode. On the topic of Cuba not having many medals in gymnastics, I believe Annia Hatch won a medal on vault at the 96 worlds before she came to the states. I remember seeing it in a fluff piece during nationals in 02 or 03. I Love your podcast and keep up the good work.